The Sheehan's are dear friends of mine so when Carrie asked me to do an extended-family photo session on her parent's property I was all like "Let's do this!" We met on a beautiful July morning in the backyard of Carrie's parent's house, a fairy wonderland for their two girls. When I arrive their eldest, Lainey, takes me on a tour of the yard, and yes a tour is needed of this incredible outdoor living space. 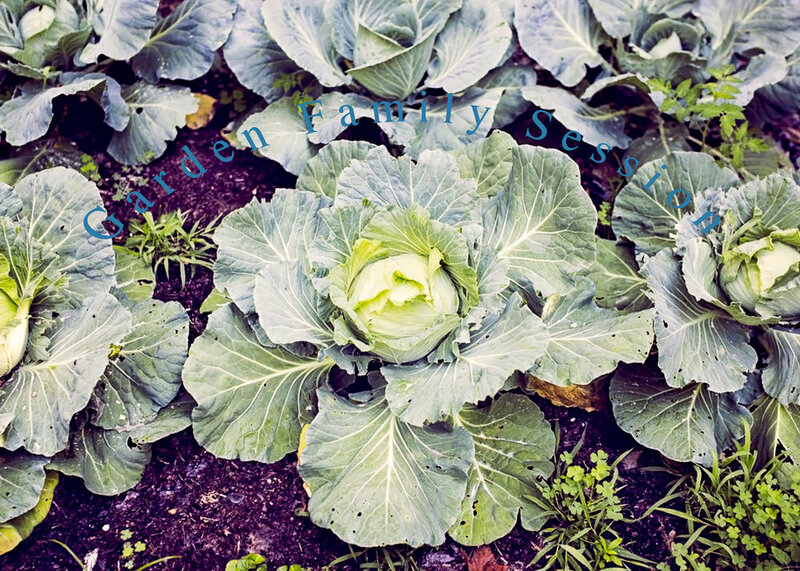 A beautiful garden with cabbage as big as your head, a goldfish pond, flower gardens, and everything to make a bird happy for this Audubon Family. I'm so grateful to the Sheehan's for trusting me to create their vision of photos with their children's grandparents at a location that has history and meaning for them. Oh and if any one of this family casually challenges you to a game of Trivial Pursuit, you're being hustled. They are the smartest family I know. Enjoy this beautiful, garden, extended-family photo session and then contact me with your ideas for your extended-family session. Let's make your vision a reality!